Green and black ashtray marked as 2045. 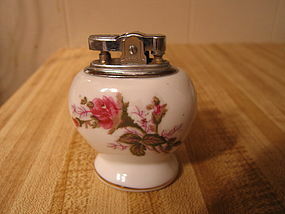 It is 6 inches in width and has 3 cigarette rests. There is no damage. I need your zip code to calculate the postage. It is 5 1/2 inches in width. It has darkened with age. There is slight roughness in a few places on the outer rim, but doesn't appear to be traumatic damage. The underside has some oxidation. 2 are available and priced individually. I have reduced the price on the listed one, due to the condition. I need your zip code to calculate the postage. I've never been sure if this is a cast aluminum or pewter material. It is marked as Marlboro Unlimited and the back is embossed with KO. 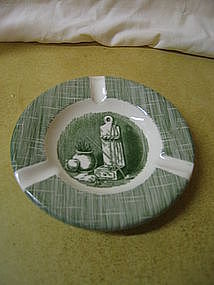 It measures 5 1/2 inches in width. There is darkening to the surface. 2 of these are available and priced individually. I need your zip code to calculate the postage. 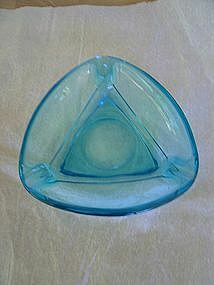 Vintage triangle ashtray measuring 7 inches in width. 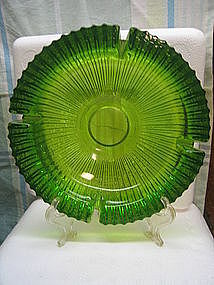 It was manufactured by Hazel Atlas and the color is sometimes called Capri or teal. There are no chips, cracks, breaks or rough rim. I also have the same style available in amethyst. I need your zip code to calculate the postage. 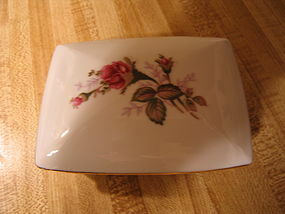 Vintage ashtray measuring 9 inches in width and weighing almost 4 pounds. 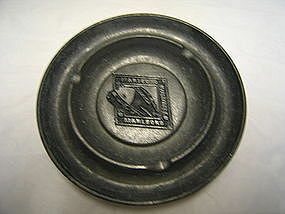 I have seen this ashtray identified as Blenko, but I am not sure of the manufacturer. There is no damage, but has manufacturing anomalies in the glass. I have 2 available. I need your zip code to calculate the postage. 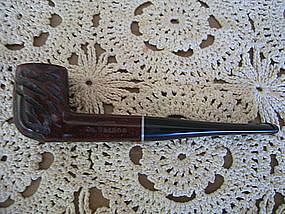 This pipe is marked Duke Dr. Grabow Imported Briar. There is no damage, but it has been used. I need your zip code to calculate the postage. 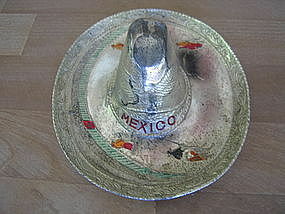 Vintage Mexico souvenir ashtray which measures 5 x 4 x 2 inches. It is some type of metal with a metallic finish, which has considerable wear to top and bottom. I need your zip code to calculate the postage. 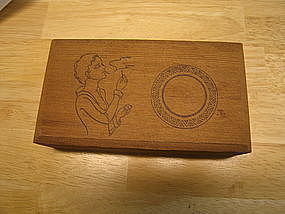 The ashtray is marked USA EA 10 25. It measures 7 x7 inches. The little light sprinkles are under the glaze and not damage to the finish. Slight roughness to the rim, but does not appear to be damage. I need your zip code to calculate the postage. 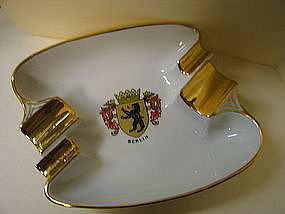 Vintage cigar or cigarette ashtray. 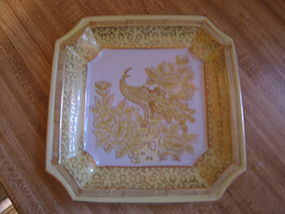 It has the look and feel of an exquisite Bavarian porcelain. The back is incised with 5431. It measures 5 1/2 x 5 inches. There is minor wear to the gold. I need your zip code to calculate the postage. 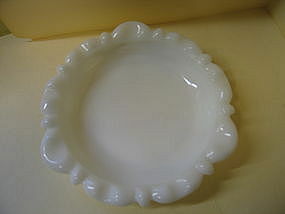 Vintage milk glass ashtray measuring 5 1/2 inches in width. 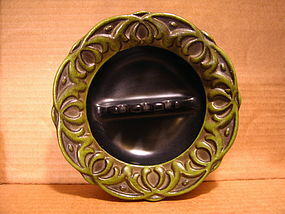 It has 3 cigar rests and 6 cigarette rests. There is no damage. 4 are available and priced individually. I need your zip code to calculate the postage. 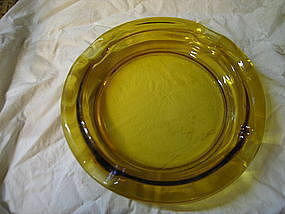 Vintage gold/yellow glass cigar ashtray measuring 7 3/4 inches. There are no chips, cracks, breaks or rough rims, but it has been used. I need your zip code to calculate the postage. 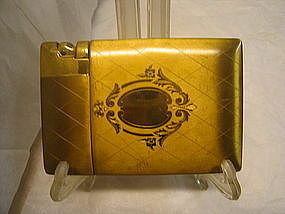 Magic Action Light-O-Matic cigarette lighter and case in brass. It was made to be monogrammed, but is blank. It measures 4 3/4 x 3 3/4 inches. 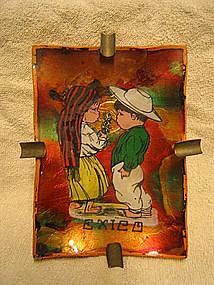 The lighter has been used. There is wear to the finish and has superficial scratches. There are complete condition photos available by email. I need your zip code to calculate the postage. 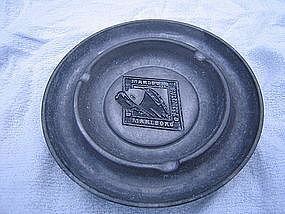 5 1/2 inch ashtray. There is no damage. 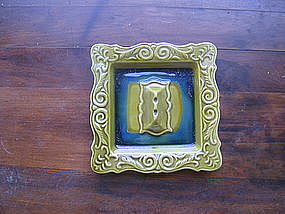 I have 3 ashtrays in this pattern available and priced individually. I need your zip code to calculate the postage.